Astronaut Buzz Aldrin, of the Apollo 11 lunar mission, carrying out maintenance work on lunar module Eagle, 21st July 1969. 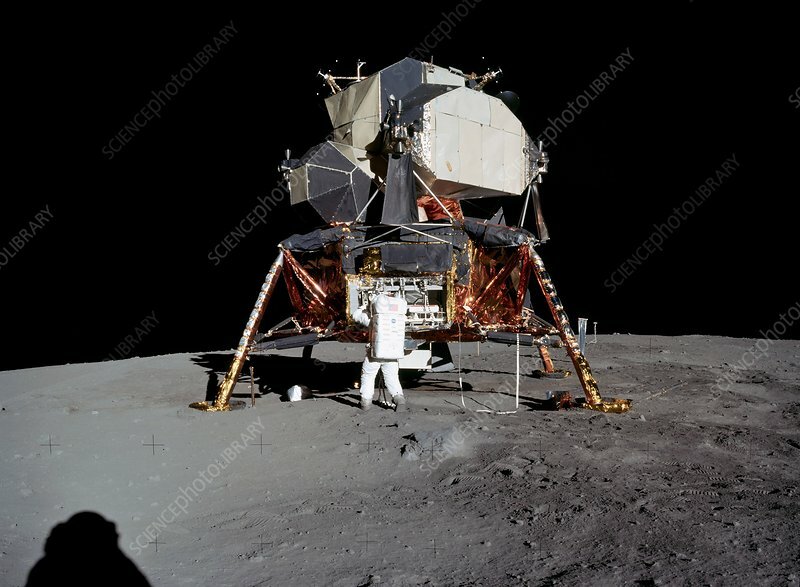 Apollo 11 astronauts Buzz Aldrin and Neil Armstrong were the first humans to walk on the moon. The landing was televised and viewed by over 530 million people worldwide. The mission was launched on the 16th of July 1969 and landed on the Moon on the 20th of July. The crew splashed down in the Pacific ocean on the 24th of July.